A quality sprinter and 400m specialist. Josh first started competing for the club in 2011 as an U13 athlete. We lost him for almost three years, but during August 2014 he returned to compete in an Avon League. 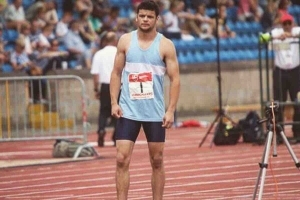 From then on he has been ever-present, regularly scoring for the club, not only in the 400m, but occasionally 100m, 200m, 800m, Long Jump, javelin…even the 2000m steeplechase! His 36m javelin throw (with a senior implement) highlighting his natural athletic ability. In 2017 Josh finished Eighth in the English Schools Senior Boys 400m final.